The world has woken up and realised that HR it is not the reactive, administration function it was once thought to be. People now understand that HR can directly impact the bottom line, not negatively by being a cost centre but by aligning positive HR strategy to the wider business strategy. So now you’ve decided what you’d like to analyse and measure, you need to know who will take up this responsibility, how the data will be analysed, how often it will be analysed and what you’ll do with the information. If you have already invested in HR software, it is likely that you will have all of the required information in one place, as well as some analytics tools in built. If you’re a smaller company, you probably won’t have everything in one place but a catalogue of spreadsheets! 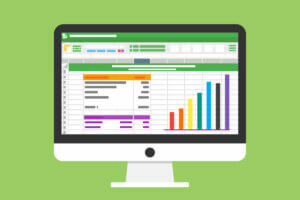 Spreadsheets are a wonderful tool and once you have the right data in there you can produce many tables and charts that will look as good as any produced in HR software! You’ve now got all of this information and blimey, you probably weren’t expecting what you found. The next stage is to take action to fix the issues highlighted, small changes can have big impacts and will drive change and improve engagement. Being able to report to your directors with actual facts and figures will demonstrate tangible value in good HR strategy. Do you struggle to unplug from work?